Ideas, executions, one-offs, and concepts I haven't given up on yet. Lindsay Lohan is anything but reliable. But we’ll prove that even she can come through on Verizon’s Network. 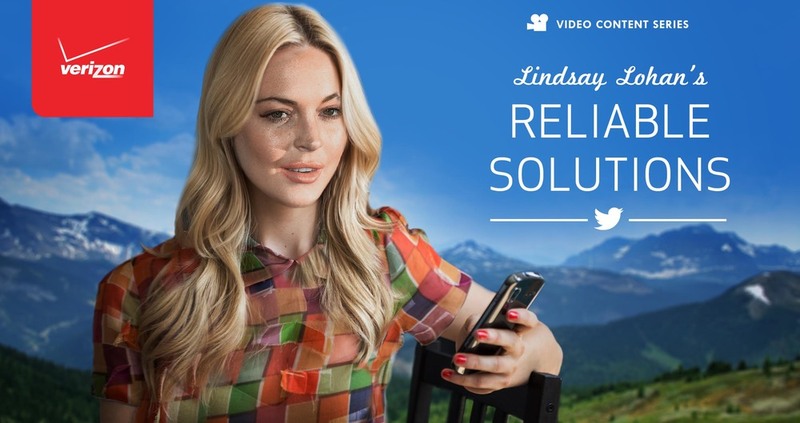 So Tweet #ReliableLindsay during this one-day event, and ask her to help you solve your life’s problems. Staples.com is more than toner and paper supplies. It offers an incredible variety of products. So we'll get users to search for 5 random products, and then submit them to MacGyver. 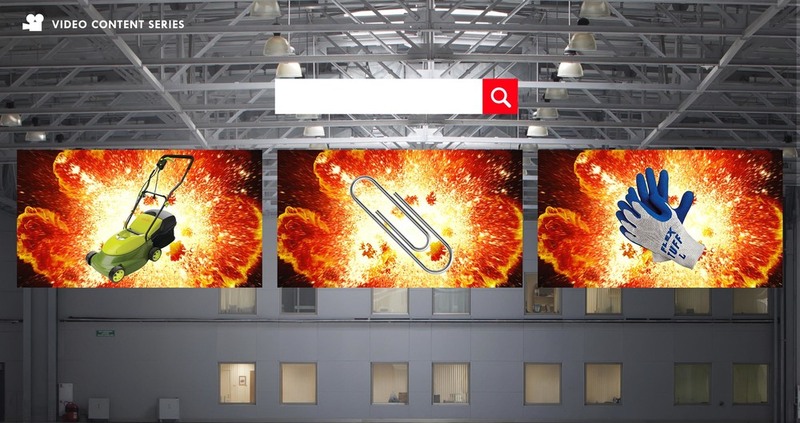 The result is an epic video reply from MacGyver, showing you what "save-the-day" item he invented with your Staples products. 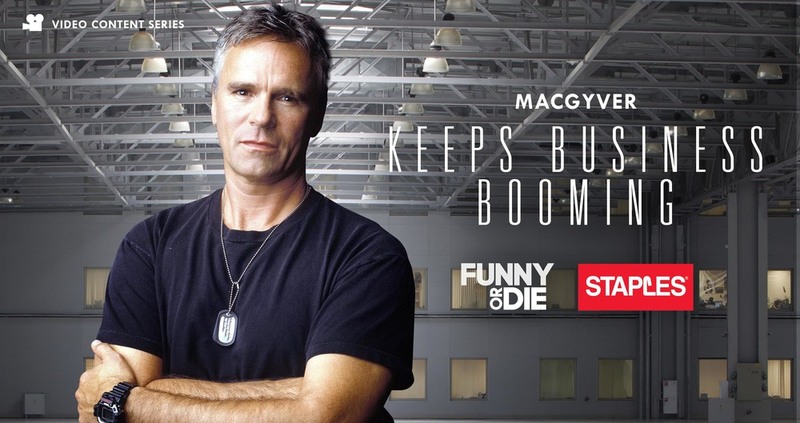 Staples then sells "MacGyver Limited Edition" products online, letting everyone know that Staples truly sells it all. 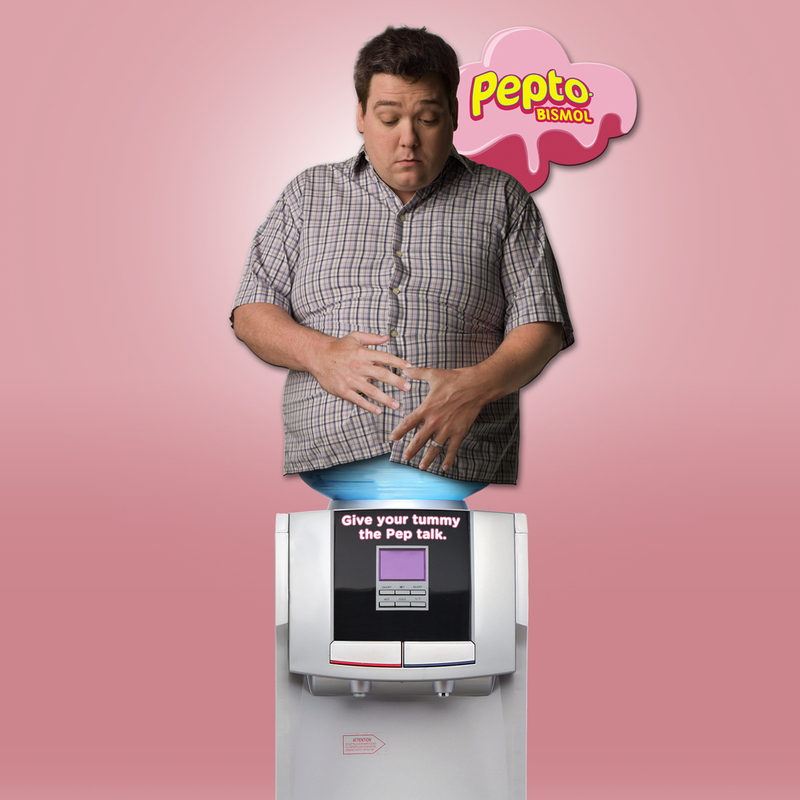 Pepto Bismol upset-stomach office display. As people use the cooler, the bubbling noise is a reminder of an upset stomach.